Parties and large gatherings are strictly not permitted at this property. Any breaches will result in immediate termination of a booking without refund. Servicing daily except Sundays and Public Holidays. Quest on King William is located within the heritage listed T&G Building in the heart of Adelaides CBD. The property offers 71 serviced apartments consisting of studio, one and two bedroom apartments. All apartments are tastefully designed and decorated with both the corporate and leisure traveller in mind. Quest on King William is just a stroll from Adelaides leading restaurants, shopping precinct, popular attractions and entertainment areas, it is the perfect base to explore South Australias premier attractions including the Barossa Valley, McLaren Vale and Kangaroo Island. Apartments are fitted with two telephones with direct dial telephone numbers, voice mail and Broadband Wireless. Secretarial services available at reception and includes photocopying, printing from disc, faxes and downloading emails. Quest on King William offers a meeting room designed to cater for small to medium functions (2-25 guests), with all day tea/coffee and biscuits. Rooms are available for half or full day hire. Reception hours are 7am to 11pm daily. Check in is between 2pm and 11pm. Guests are required to provide a CREDIT CARD imprint on ARRIVAL. Car parking is not offered on site. Loading and unloading bays are located on Grenfell Street or Register Lane (off Grenfell Street). Off-Site security carparking is available. Situated off Currie Street, approximatley 200m from the property at Plaza Hotel Carpark. Quest on King William guests are offered discounted rates of $15 per 24hours with multiple entry. Skylink Airport Shuttle - $10.50 adult, $2.50 children or $12.00 adult return. Driving NB. No right turns allowed along King William St.
Airport - Follow the road out of the airport until Sir Donlad Bradman Drive. Turn right and drive into the city centre. Adelaide Hills Continue along Glen Osmond Rd straight into the city centre. Once in the city, head down Pulteney St and turn into Grenfell St towards King William St. Just before the traffic lights you will pass the ANZ building, after that turn left into Register Lane where loading bays are available for check in/out. Once at the property, you will be directed to the offsite car park. 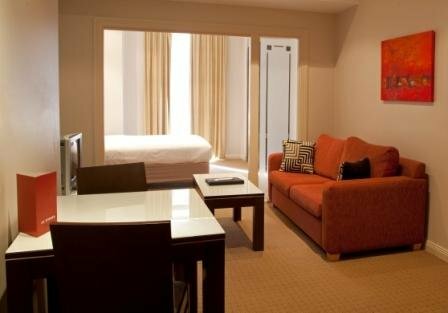 Located in the heart of the city, either a short walk or the local tram will take you to the Museum, Art Gallery, SKYCITY Casino, Rundle Mall, Chinatown, Central Markets, Adelaide Oval, Torrens River, Adelaide Zoo and the Festival Centre. 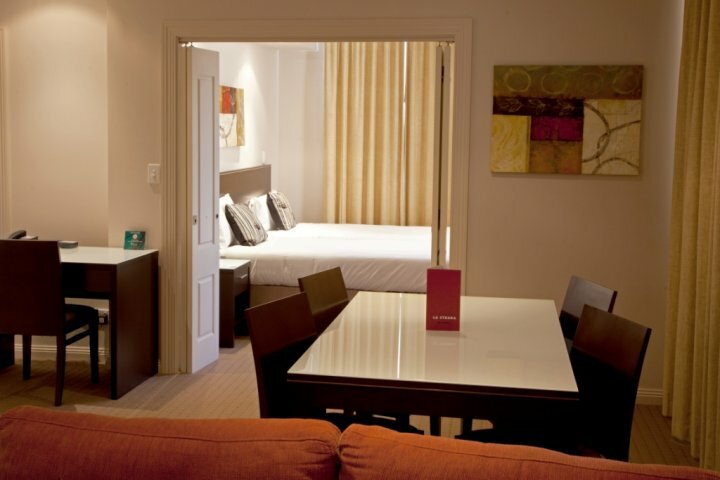 Rundle Mall shopping precinct is only 200 metres away.